Need an attraction to draw the crowds to your function? We are experts at both indoor and outdoor displays! Our clean, cute and cuddly baby farm animals are appealing to all ages, and our enclosure is specially designed to be wheelchair friendly. Our babies have visited the 13th floor of the NAB, homes of Australia’s biggest company directors and even Movieworld. No event is too large, too small or too difficult for us. Many Fetes and fundraising event choose to charge an entrance fee and raise money for their organisation, alternatively sponsorship may be sourced by organisations who choose to have the farm as a free activity. 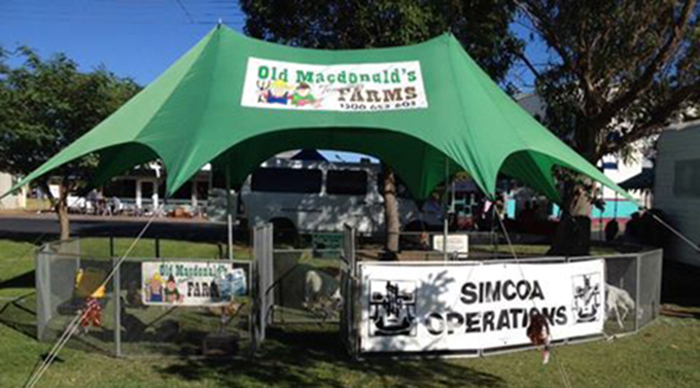 (Old Macdonald’s Farms are happy to display advertising material). Either way, you can rest assured that everyone will make their way to Old Macdonald’s Farms. Our displays are an excellent drawcard for any event. 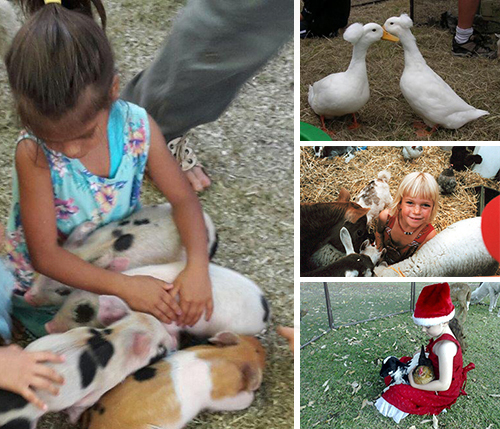 Every Family member can mingle freely in the pen with the adorable animals, for a memorable experience. One of the few activities that parents and grandparents can actually participate with their children. Maybe even impress some potential clients. Whether young or old it is a talking point for years to come. These gorgeous babies are a great conversation starter for people of all ages.